Each week, Digital.NYC hand-selects a promising New York City-based startup to be featured across the Digital.NYC website, weekly newsletter, and social media channels. 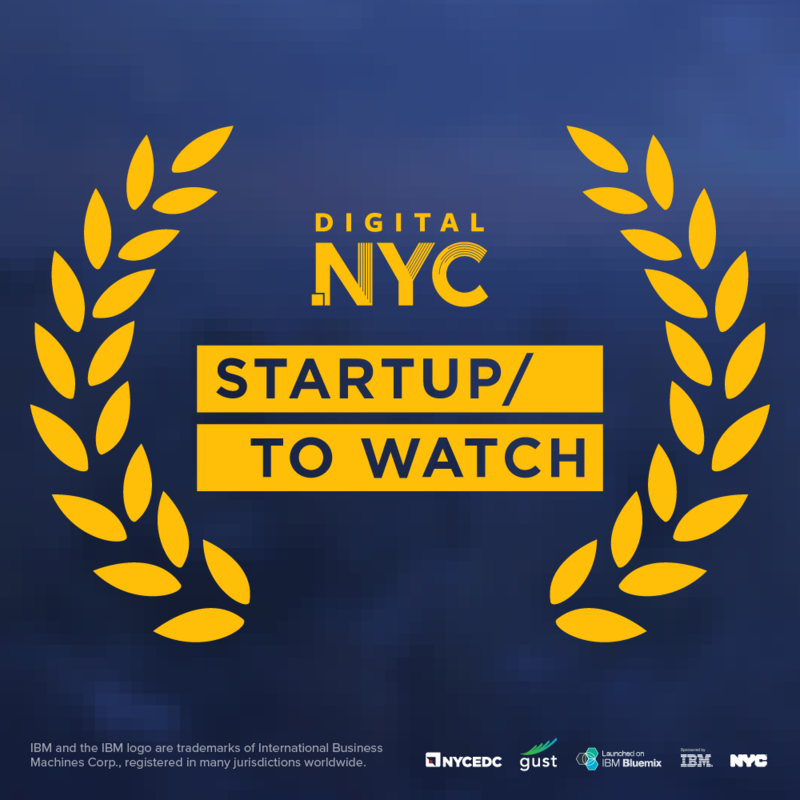 The Featured Startup that draws the most interest is announced as that month’s Digital.NYC Startup to Watch. The coveted title comes with an acceleration bundle that includes an exclusive press release from Digital.NYC announcing the award, prominent placement on the Digital.NYC homepage, social media shout-outs from the Mayor of New York City, Digital.NYC, and other local tech influencers, and additional benefits. Digitize and monetize your window displays with an A.I-based turnkey solution. Poln is the first advertising platform designed specifically to help small to mid-sized online retailers acquire new customers easily & cost-effectively. Yosi is a patient engagement and workflow management software for providers. Ment is a community based and data backed app that enhances the airport experience for travelers. Report, earn points, win travel prizes! Subscription-based wellness classes and events for residential and commercial buildings. We are the 1st Mobile Visual Commerce platform that empowers you to earn money from product recommendations in photos you share on social media. Families use our web and mobile apps to treasure their stories and connect them to cultural institutions and public History. FoodieTrip is the world's first marketplace connecting travelers with passionate, local food guides for authentic gastronomic experiences all around the world. Satisfi builds intelligent engagements from on-site to online, with AI bots and people too. Digital-first global media firm dedicated to the world's emerging & frontier markets. Website, podcast, consulting, global events, exclusive partnerships. Effortless style and deliberate design for women on the rise. Invibed makes successful money management simple and easy for young professionals.